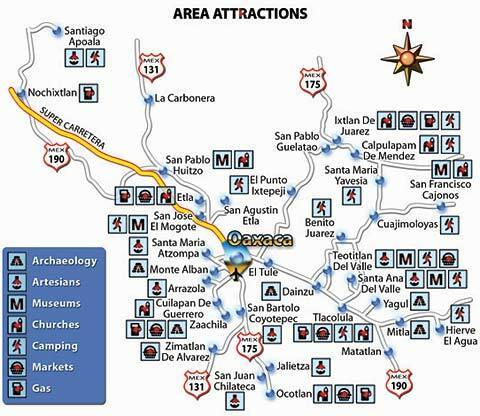 Below you will see a map outlining the attractions in the Oaxaca area. Study the map and you will have an easier time planning multiple sights to see along the same rout. Below the Oaxaca map which outlines the general attractions in the area you will see a small image and link which will take you to a PDF map of Oaxaca's historic district. That is the street map that you will want to print and keep in your pocket.